Ann M. Noser tagged me to share seven lines from the seventh page of a work in progress. I choose to use my next Book 2 in the #EnlightenSeries entitled THE PASSAGE, A DANCE, & A LITTLE WHITE DRESS. When I turn eighteen in a few months, I would become the Seraph angel, of whom the Prophesy foretold. To mark me as an Eternal Enlighten, I would get a tattoo: a golden Triquetra symbol with wings. I’d always thought of myself as an average seventeen-year-old girl. I’d never considered I might be special—or even extraordinary. But all that had changed when Grace said last night I was going to save the world. Frustrated with her extravagant duties as a Summer fairy, Sidelle Amistad is desperate to prove she can be more than a petty princess. 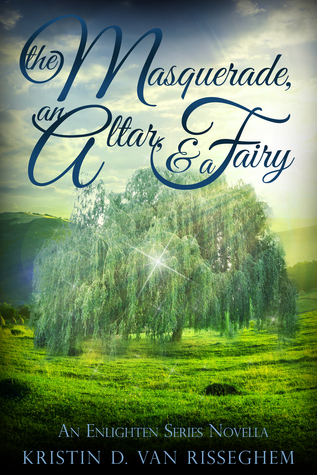 The accidental capture of Winter fairy, Finnegan, looks like the ideal opportunity—until Sidelle and Finnegan fall in love. Knowing her love for Finnegan is forbidden, a heartbroken Sidelle searches for deeper meaning in her eternal existence. Her pain leads her on a quest to help the humans … in a desperate fight against Hell itself. Giveaway ends August 19, 2015.